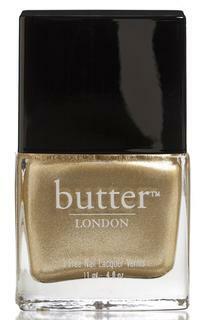 Butter London… Boy, Have I Been Snoozing! Good Evening My Fab Beauties (Wink)! 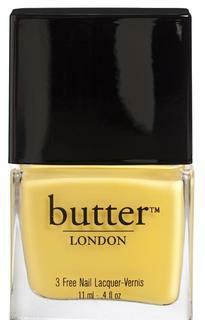 I have to admit that I have been seriously snoozing on Butter London Nail Lacquer. I was browsing another blog and came across Butter London. It was the most amazing color… It was a vibrant yellow and I was just in awe! You can see the color below. (Thanks Monique! blog.powderandcurls.com) The Fabulous, Monique told me that I could find it at Macy’s. But I was still curious, so tonight, I decided to see if they had a website and By Golly they do! If you are a polish head then you could die and go to heaven there!!! It’s like another OPI. So Fab Beauties, these are the colors that I ordered!!! You know I had to order the GOLD to represent the USA and our very own Gabby Douglas. Yay! She did such a great job!!! Kudos!!! In the days ahead I have so many reviews to do and so little time… Well, at least I will have plenty of new posts coming up! Make a mental note: I’m going to be doing a giveaway soon and one lucky winner will win their very own GOLD by Butter London! Does what it says on the bottle. Full-on molten gold nail lacquer. 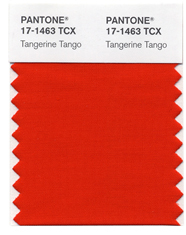 A beautiful colour that is always classy, never brassy. 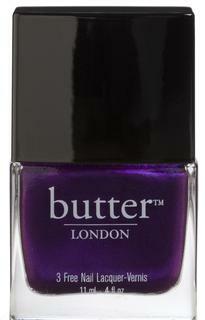 A proper royal-purple nail lacquer. Even the Queen would agree, and she never agrees with us. 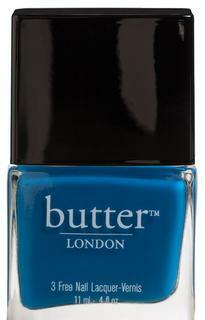 A striking cobalt blue nail lacquer. A summer staple in every trendsetter’s lacquer wardrobe. “Why, no – I do not have a banana in my pocket – but I am happy to see you.” Get noticed with this bright yellow nail lacquer. 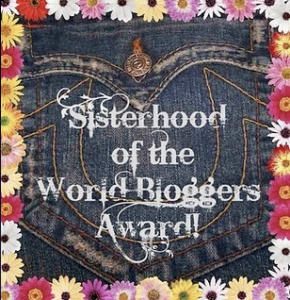 Julep Maven!… And You Can Be One Too! Guess What Ladies??? New Fall Colors by Zoya: Hits Stores This Week! Yeah Baby!!!!! ELF Cosmetics: 50% off Orders of $20.00 or more! Jessica Alba’s Dramatic Smoky Eye Makeup: Get Her Smoldering Look!